Los Alcazares, is not only where our office is located, it is also the place we like to call home. We chose this location as for us, and many alike, it still holds the traditional Spanish charm, and ways, but over more recent years has seen the introduction of some fantastic new bars, restaurants, shops and a fantastic array of other amenities. This has only enhanced the area, and it still to this day remains largely unspoilt and commercialised. 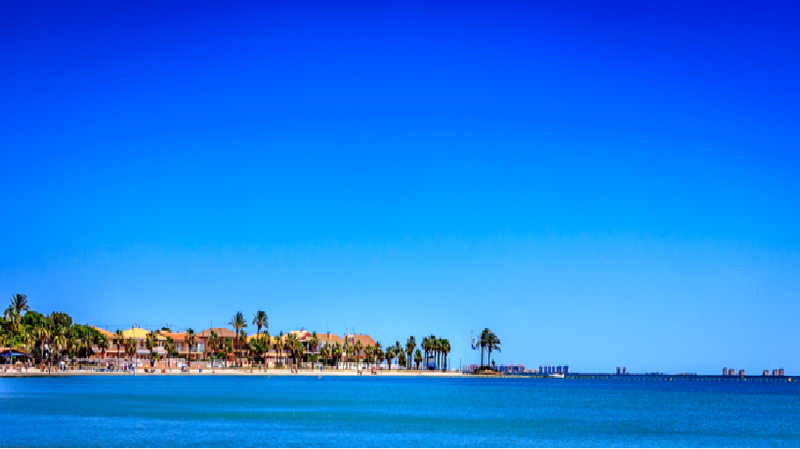 Located on the shores of the Mar Menor, the town benefits from some fantastic beaches, which span the full length of the town, and beyond, offering views right across the lagoon to neighbouring La Manga. The way the town has developed over the years has seen the town become categorised into two parts, with many people referring to them as the “old” town & the “new town”. If we look at the old town, here you will find some beautiful local Spanish bars, all serving fresh seafood,tapas and other local dishes. There is a fantastic selection of local bars, and in the summer Chiringuitos, set along the beachfront, the old town also plays host to the carnivals, street markets, and fiestas, that run throughout the year. 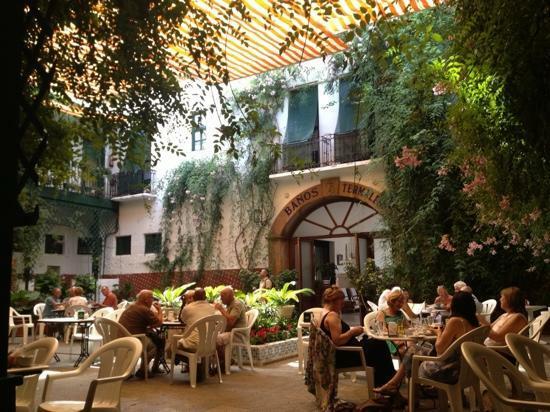 A hidden gem here is the Hotel L'Encarnacion, with its vine covered courtyard, and beautiful beach front terrace, where you can enjoy fantastic food and drinks. Now to what many class as the new town, here you will find a great selection of bars, shops and restaurants, as well as our office !, all situated near the Hotel 525. Located in a large open plaza, the bars and restaurants run down a central boulevard, right to the beach, and waters of the Mar Menor. It’s here in the new town, you will find some of Spain's leading developers, currently constructing some spectacular properties. From apartments with rooftop solariums giving views across the whole of the Mar Menor, to bespoke luxury villas. One thing is for certain, more and more people are falling in love with this beautiful part of Spain, that we are lucky enough to call home !. To see our range of Property For Sale In Los Alcazares Click Here.